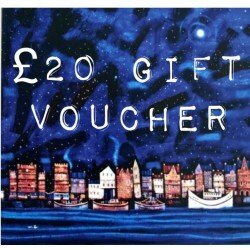 £20 Gift Voucher Looking for a gift? Ritchie Collins Gallery vouchers are a unique present for any occasion. £50 Gift Voucher Looking for a gift? Ritchie Collins Gallery vouchers are a unique present for any occasion. £100 Gift Voucher Looking for a gift? Ritchie Collins Gallery vouchers are a unique present for any occasion.